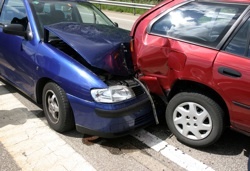 Following too Closely | Chicago Tailgating Ticket Defense Lawyer The Davis Law Group, P.C. Contact Cook County, Illinois Traffic Ticket Attorney The Davis Law Group, P.C. In Illinois, the traffic offense of Following too Closely is controlled by 625 ILCS 5/11-710. The law requires that a driver of one vehicle does not follow another vehicle more closely than is reasonable and prudent. The driver must take into account the speed of other vehicles, traffic and the condition of the highway. Oftentimes, a police officer will issue a citation for Following too Closely when an accident is involved. This specific moving violation is charged as a petty offense in Illinois. If you have received a traffic ticket in the Chicagoloand area for Following too Closely, the attorneys at The Davis Law Group, P.C. can help. Feel free to contact us to discuss your case.